The University of Vienna was founded in 1365. It is the oldest university in the German-speaking world and one of the largest in Central Europe. 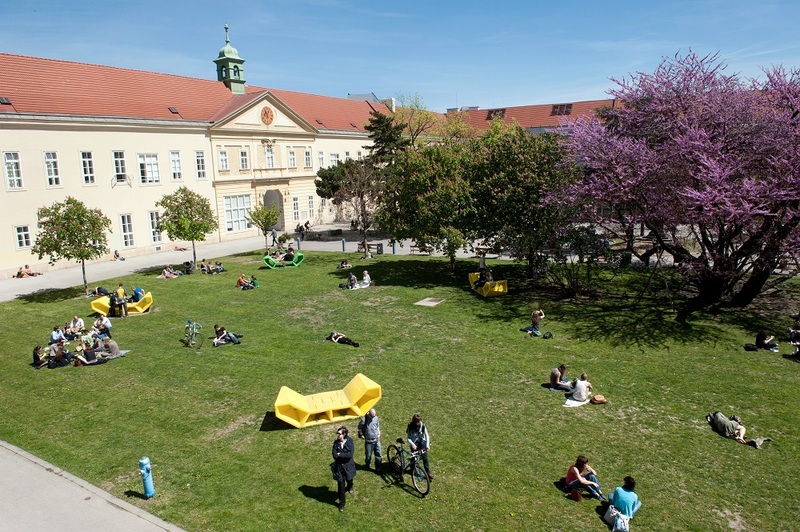 Currently, about 91.000 students are enrolled at the University of Vienna. 179 courses can be taken, of which 56 are Bachelor Programmes, 112 Master Programmes, 3 Diploma Programmes and 8 PhD Programmes. 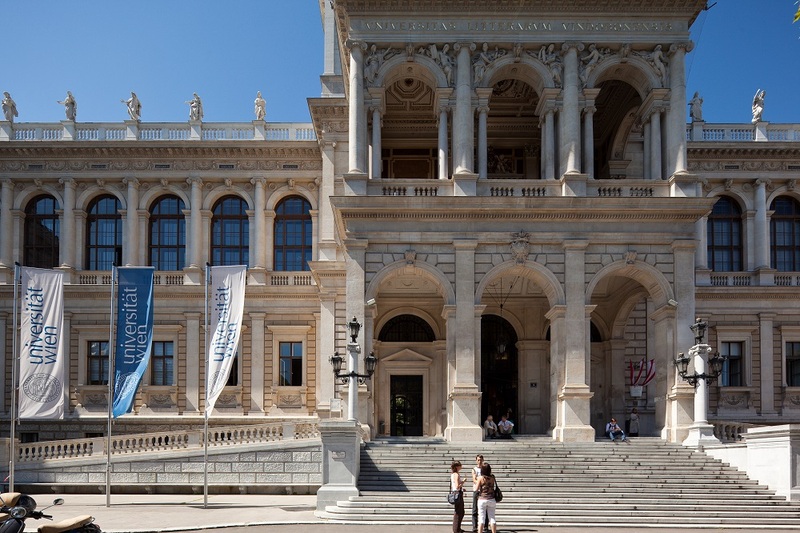 With a staff of 9.400 employees, 6.700 of whom are academic, the University of Vienna is the largest teaching and research institution in Austria. It aims to sustain a wide range of studies, but at the same time to promote new and innovative fields of research, and to establish new networks between subjects. The main task and goal of this university lie in creating and sustaining top-quality research and teaching, which are regarded as one inseparable entity ("research-guided teaching"). A strong focus on research, combining fundamental with application-oriented research, renders this University highly attractive for the sharpest minds. Research and teaching at the University of Vienna comprise a wide range of faculties: from Catholic and Protestant Theology, Law, Business and Economics, Computer Science, Historical and Cultural Studies, Philological and Cultural Studies, Philosophy and Educational Sciences, Psychology,Social Sciences, Mathematics, Physics, Chemistry to Earth Sciences, Geography, Astronomy, Life Sciences, Translation Studies, Sports Sciences, and Molecular Biology. The University of Vienna has always been strongly orientated towards international research and teaching and therefore is continuing its efforts to maintain its relationships with other countries. It is part of the ERASMUS/SOCRATES Programme and member of several international networks such as ASEA-UNINET, the Network of Universities from the Capitals of Europe (UNICA), and the European University Association (EUA). From 363 European partner universities, the University of Vienna has entered into an ERASMUS-Partnership with 350 universities. Students from approximately 130 countries attend more than 10.000 lectures at the University of Vienna every year. Knowledge and technologies are deeply intertwined with the ways we live in the world. How we communicate, move, work and care for our health – all this is constantly changing through new scientific and technological options. However, new techno-scientific possibilities also challenge existing value structures and ways of living, which leads to societal debates about risks, ethics, and social justice. For further detailed information see the STS-Website. The master’s programme and research network Environmental Sciences is a hub for students and scientists who want to apply deep scientific thought to the earth environment and some of its most urgent problems. Geoscientists, life scientists, geographers, chemists, physicists, mathematicians, economists, and lawyers come together to tackle these problems in a collaborative way. Our goal is to prepare a new generation of professionals and scientists for solving the challenges ahead. The two-year master's programme East Asian Economy and Society (EcoS) is a multidisciplinary programme dealing with contemporary societal, political and economic aspects of the East Asian region as a whole. It is offered at the Department of East Asian Studies of the University of Vienna in the English language. For more detailed information, see the EcoS Website.